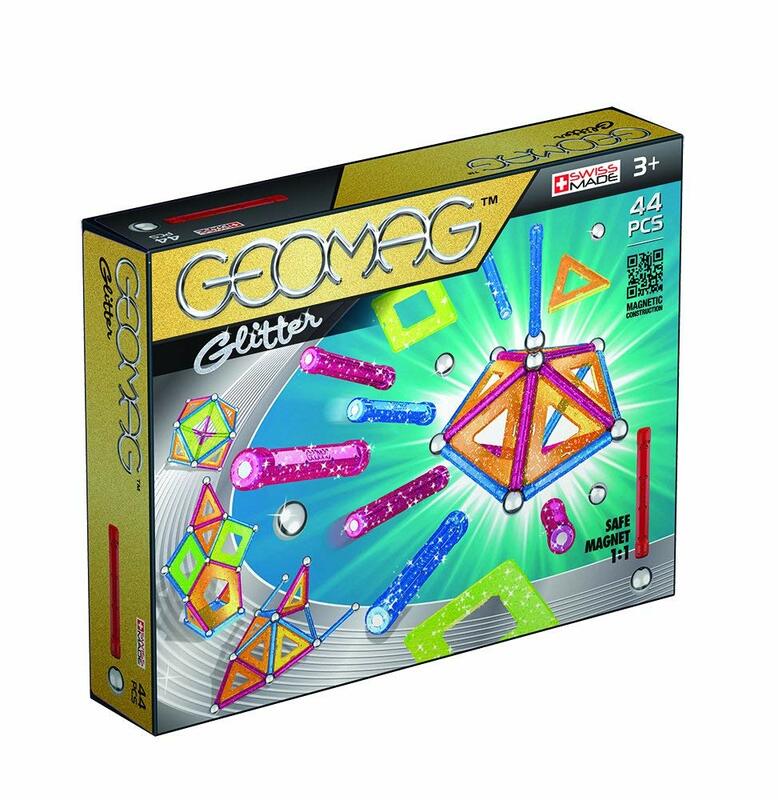 Geomag is the original patented magnetic construction toy. 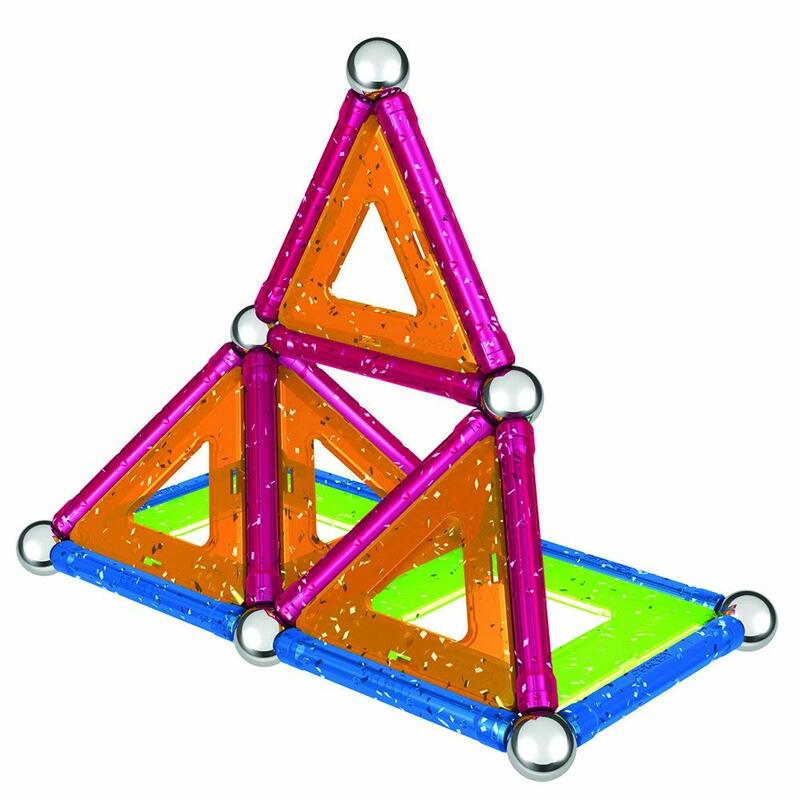 You can build 3D structures and geometric shapes. For children 3 years old and over. Simple, clever, instructive and stimulating. 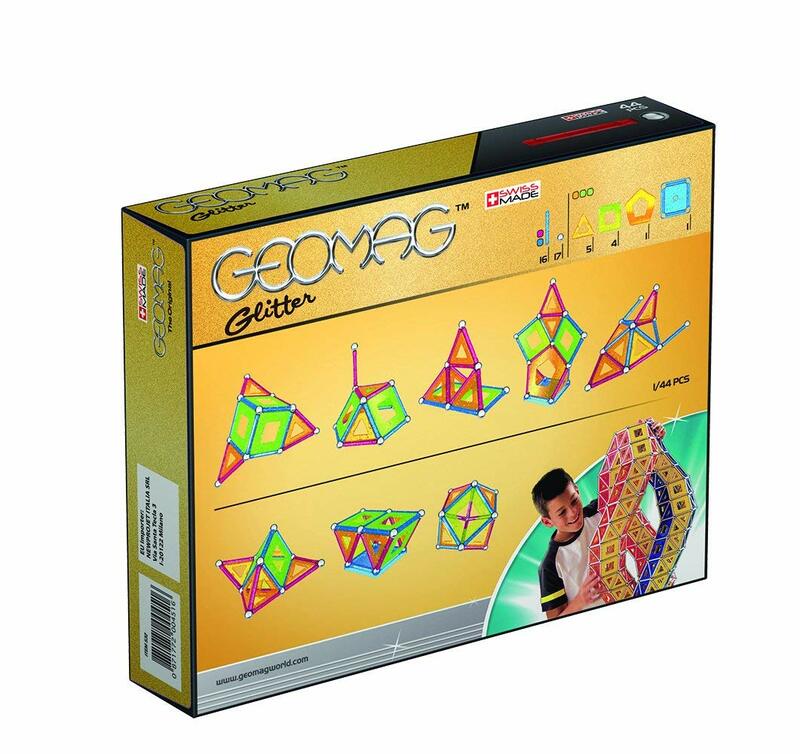 Geomag is the original patented magnetic construction toy that enables you to build fantastic models. 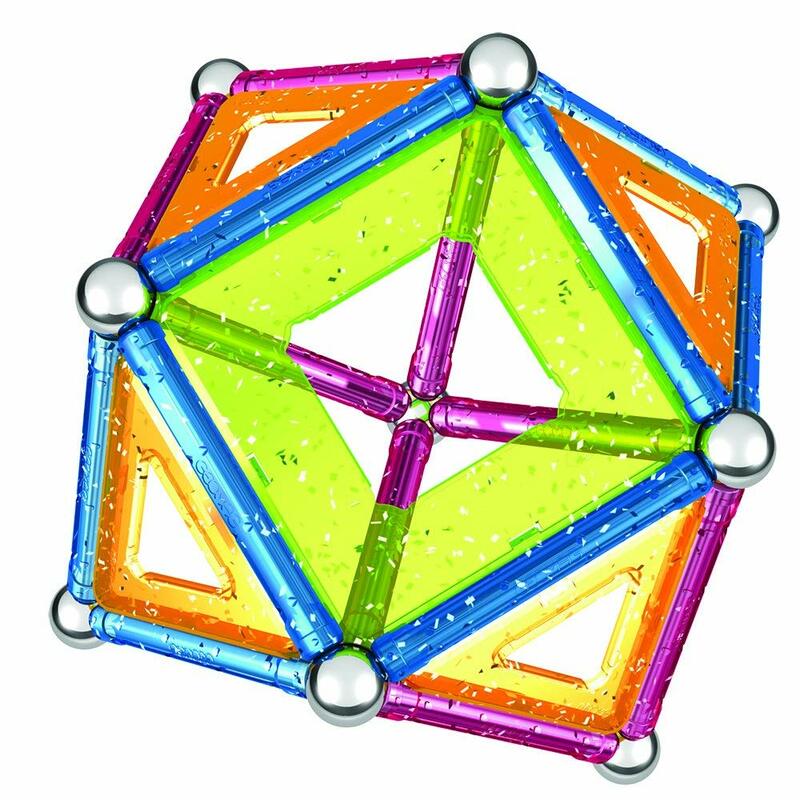 This is a special line of Geomag invented for lovers of glitter colors which make the constructions even more bright, peculiar and fun. The spheres click into the platform and can remain there, becoming a base for endless construction possibilities.